Hugh IV was King of Cyprus from 31 March 1324 to his abdication, on 24 November 1358 and, nominally, King of Jerusalem, as Hugh II, until his death. Hugh appears to have been content to rule Cyprus, as he prevented his son, Peter I, from going to Western Europe to recruit support for a new crusade to recover their Kingdom of Jerusalem. In 1344, he joined a league with Venice and the Knights Hospitaller which burnt a Turkish fleet in Smyrna and captured the city. In 1345 the allies defeated the Turks at Imbros by land and sea, but Hugh could see little benefit for his kingdom in these endeavors and withdrew from the league. During his reign, he was strict about issues relating to justice. When his two sons left without his permission for a trip in Europe, he arrested the man who helped them to leave the island, he imprisoned and tortured him, and he cut off a hand and a foot before he hanged him in April 1349. He managed to bring back his two sons and he imprisoned them. 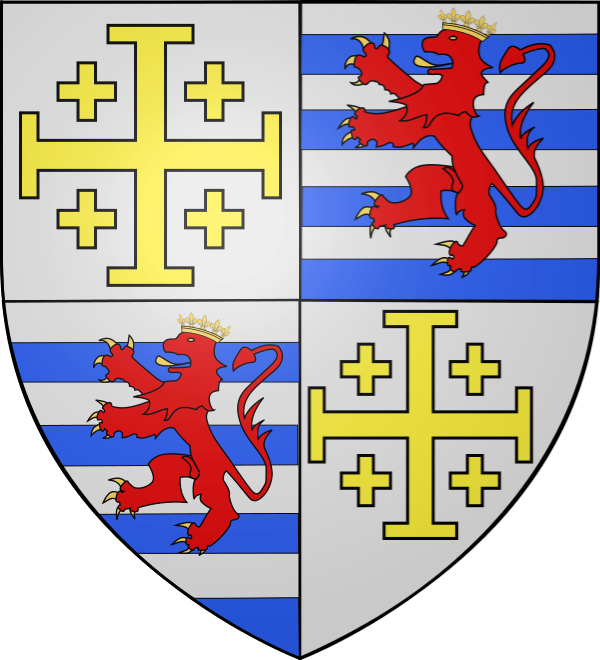 Hugh resigned the crown to his son, Peter I (rather than his grandson Hugh) in 1358, and died on 10 October 1359 in Nicosia.